ILAPAK has introduced an upgraded version of its Vision2000 vision and counting platform. The manufacturer said new laser height detection capabilities and design features allow ‘easier access’ for maintenance. 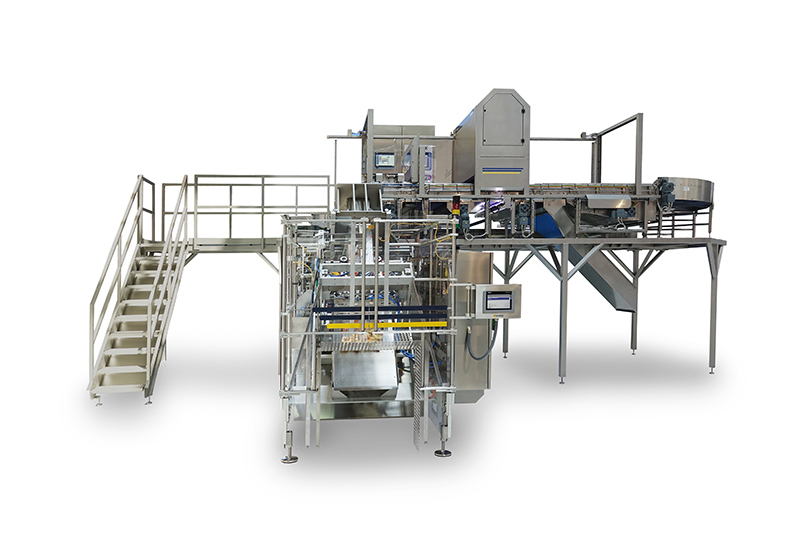 The Vision2000 uses line scan camera technology to count and feed baked goods into the infeed of a VFFS machine at high speed. The system can also be supplied with a quality control module, which uses a camera to screen the product flow for deformed or damaged products by performing surface and length/width checks. The system can be equipped with a metal detector, which can share a retractable reject system with the quality control module. Ilapak said ‘key’ to the flexibility of the belt-based system is a line scan camera, capable of capturing up to 2,000 images per second. The images are overlaid to produce a ‘real time’ picture of the product flow, and software processes this image to calculate when the target number per pack has been reached. Batches are separated via pneumatically controlled ‘fingers’.